← Ends tonight! Free Shipping! How would you like to opportunity to invest with us? If you have a loyalty card and shop our stores regularly, why not also be a part of OUR team?! See the terms and details below. INVEST TODAY! More information below about us and the investment opportunity we are offering! re-branded and expanded into four distinct store fronts that cater perfectly to our South Carolina community. Each of our brands perfectly blend together all under one roof in each of our three brick-and-mortar locations for an experience that brings our customers back time and time again. Satterfield’s Jewelry Warehouse – Offers exquisite fine jewelry collections crafted from precious metals and stones for all price levels ranging from elegant Diamond Solitaires to lovely sterling silver pieces. Garnet and Black Traditions – Offers officially licensed University of South Carolina collegiate merchandise including top brands such as Under Armour, Top of the World, and more. Tiger Paw Traditions – Offers officially licensed Clemson University collegiate merchandise which includes top brands such as Nike, New Era, and more. Palmetto Traditions – Offers popular Southern fashion trends which includes top brands such as Yeti, Simply Southern, Tervis Tumbler, and more. 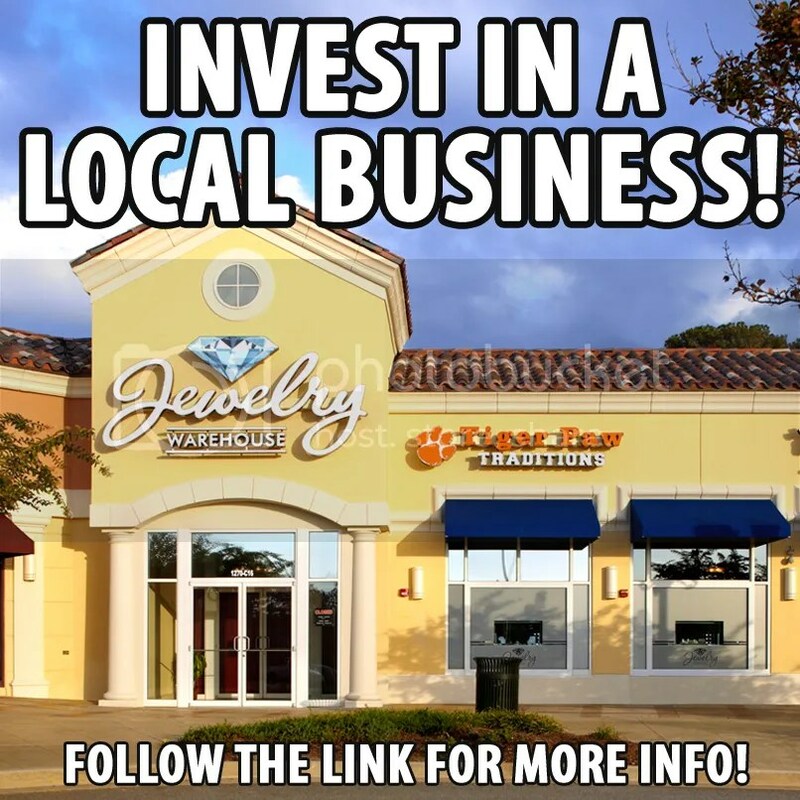 While each of our storefronts is under the umbrella of Satterfield’s Jewelry Warehouse in our physical stores, online each storefront has its own website and corresponding social media accounts that cater to each storefronts’ individual fan base. On Facebook alone, we have a combined total of 74K followers that are avid fans of our company. Over fifty years have passed since we first opened our doors. The ownership of the company may have changed to George’s son, Scott Satterfield, but the core values of Satterfield’s Jewelry Warehouse have never changed. It is because of our commitment to high standards of quality, selection, value, and service that we have always remained in the hearts of our customers. We are offering up to $107,000 in unsecured Promissory Notes. All accrued and unpaid interest shall be paid on or before January 10th of each year of the term. All outstanding principal and accrued and unpaid interest shall be due and payable on January 10, 2025. Commencing June 1, 2020, any investor may, by providing written notice to us, on or before December 10th of any year, request the early repayment of this Note, in which case, on or before the following January 10th, we shall repay Holder the outstanding principal balance of this Note, plus all accrued and unpaid interest due as of such payment date. $500 — If you invest $500, you will receive a $50 Gift Card. $1,000 — If you invest $1,000, you will receive $120 Gift Card. $2,500 — If you invest $2,500, you will receive $400 Gift Card. $5,000 — If you invest $5,000, you will receive $1,100 Gift Card. $10,000 — If you invest $10,000, you will receive a $2,500 Gift Card. Due to regulations, we can only answer questions about our campaign on our StartEngine site in the comments. We look forward to hearing from you! This entry was posted in Jewelry and tagged columbia sc, invest, investing, investment, jewelry warehouse, satterfield's jewelry warehouse, start engine, startengine. Bookmark the permalink.